Thomas Walker is an authority on alternative healthcare and science. He is a chiropractic physician, master level martial artist, former US Army Green Beret, professor of natural science, artist, musician, and author. He lives in the Great Smoky Mountains of Tennessee where he teaches kung fu, practices alternative medicine, and continues his investigation into New Science and spiritual phenomena. "Tom Walker's book is a fantastic exercise in open mindedness. Why are so many apparently wacky notions so violently opposed by the establishment? If they're silly and untrue, why all the fuss? And... Who would stand to lose if they were true? Read it and ponder." �Mark Vicente, Director of the film What the BLEEP Do We Know?! Inspired by encounters with his son from beyond the grave, Tom Walker went searching for answers. He discovered that paranormal phenomena have not only been exhaustively studied, but that scientific evidence exists to support it. He uncovered numerous scientific studies involving telepathy, clairvoyance, precognition, and psychokinesis, as well as government-funded scientists who proved their validity. Through his research, Walker eventually came to the belief that there is a force in the world that makes things happen. 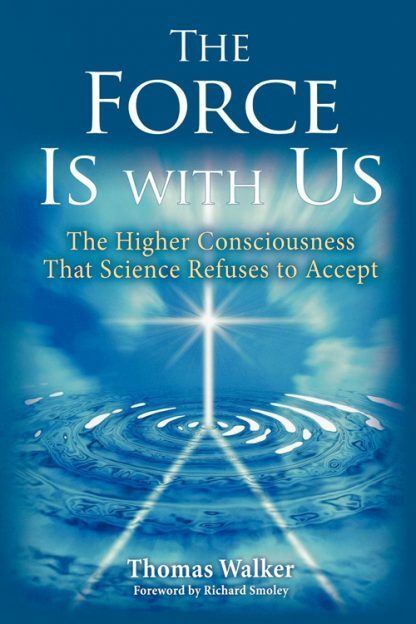 The force, an energy field that permeates the universe, forms and sustains all things, and is the basis behind paranormal phenomena and alternative forms of healing. He describes his provocative conclusions in this book. Making compelling connections between ideas like the Great Void and �dark matter,� between Ch�i and quantum fields, Walker argues that it is our connection with the higher planes of consciousness � the fundamental quantum reality� that truly makes up the world.